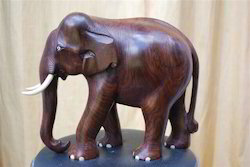 Rosewood Elephant Handicrafts , we have different sizes of rose wood elephant starting from 3 inches, 4, 5, 6, 8, 10, 12 inches. We can provide cudtumize product also. The bulk price as follows. 3 inches-200rs per piece, 4 inches 350rs, 5 inches - 500rs, 6 inches-825rs, 8 inches 1500rs, 10 inches 2500rs , 12 inches 3500rs. for Bukk price minimum 10 items need to purchase. Pehands is the best source for one of a kind art and crafts from all over India. We are engaged in offering a qualitative range of Rosewood Handicrafts to our valued customers. These intricately designed and crafted products can be availed in various designs and shapes to enhance the beauty of any home or office interiors. We offer these high quality products at affordable rates. we offer high quality statue. Keeping the diverse requirements of customers in mind, we are instrumental in providing Handicraft Boat (kettuvallam) and other items. We offer an extensive range of Rosewood Crafts to our clients across Asia. 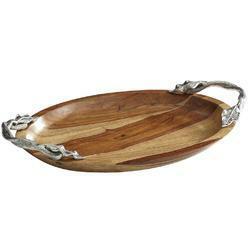 These craft items are made from superior quality wood material and are very attractive.